A common bond between a Fortune 500 company and a mom-and-pop business is the requirement for each establishment to have a portable fire extinguisher(s) on premise. Furthermore, these fire extinguishers must be inspected and serviced by a licensed fire extinguisher company. 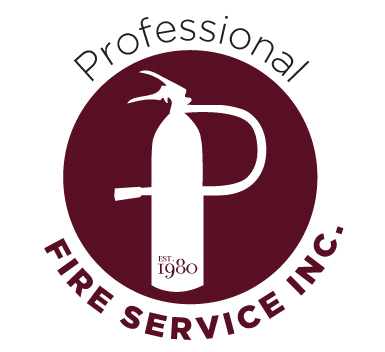 Depending on the geographical location of the business, a portable fire extinguisher service company must be licensed and insured to conduct business in that particular area. 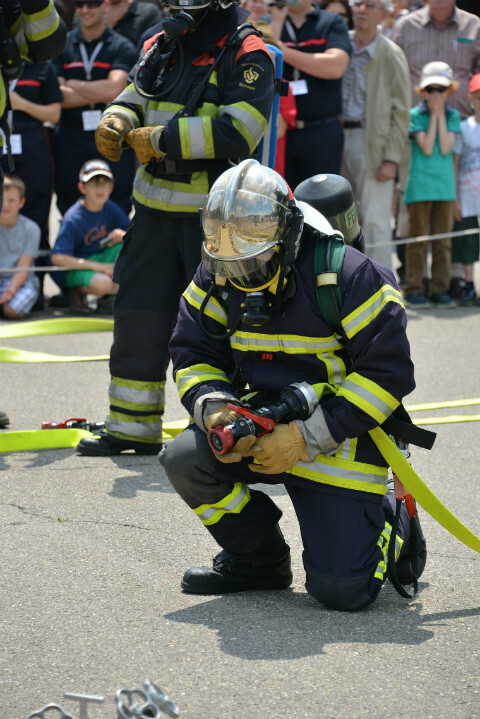 Since fire extinguisher inspection laws may vary at the state and local level, it is important to hire a fire extinguisher company that has an abundance of knowledge and experience in the industry. Here are some of the basic rules and regulations, as well as industry jargon that will give you a better understanding for your next fire extinguisher inspection walk-through. The most common fire extinguisher found in most homes and business is an ABC Dry Chemical Fire Extinguisher. This extinguisher is a multi-purpose fire extinguisher that will be effective fighting fires composed of wood, paper, flammable liquids, and electrical equipment. The larger the fire extinguisher the more effective it will be in fighting a fire. These extinguishers vary in size and range from 2.5lbs all the way up to 125lbs wheeled units. In addition to these extinguishers being inspected on a monthly, semi-annual and annual basis, an ABC Fire Extinguisher must undergo a 6-year maintenance and hydrostatic test every 12 years. What is a 6-year maintenance and hydrostatic test you may ask, in general a six-year maintenance is when a fire extinguisher is discharged and the cylinder is examined internally. Hydrostatic testing is pressure testing of a fire extinguisher to verify the strength of the cylinder against unwanted pressure. 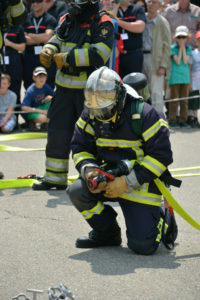 It is important to note that this is only one type of many different extinguishers, each with their own properties that give them unique fighting capabilities against fires. Since a Class K fire extinguisher, most commonly found in kitchens, differs from that of an ABC fire extinguisher, the maintenance and hydrostatic testing intervals also vary. 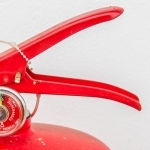 Due to many variables, combinations of fires and types of portable fire extinguishers, it is important to hire a fire extinguisher company that is well versed in selecting the appropriate fire extinguisher to protect your business. When hiring a fire extinguisher inspection company within Long Island and New York City’s Five Boroughs, the most important factor to consider is whether or not the company is properly insured and holds the appropriate certificate of fitness (C of F) to conduct business in a particular city or county. To actively service and sell fire extinguishers within Suffolk County, Nassau County and New York City a company must possess a separate certificate for each jurisdiction. For example, if a company only holds a license to operate within the boundaries of New York City (Manhattan, Queens, Bronx, Brooklyn, and Staten Island), they will be unable to provide fire extinguisher service to Suffolk County, Long Island and Nassau County, Long Island, businesses. For a list of approved fire extinguisher companies you can contact the Suffolk County Fire Marshal Office, Nassau County Fire Marshal Office and Fire Department City of New York (FDNY).